The birthplaces and former residences of our national heroes are important national treasures, which over the years have acquired special sentimental value for not only the residents of the communities in which they are located, but also for Jamaicans as a whole. 24 Tucker Avenue - is the former residence of the late Sir Alexander Bustamante. 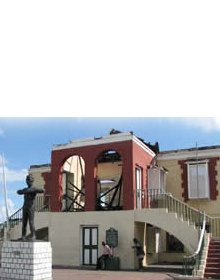 32 Market Street - is the birthplace of Marcus Mosiah Garvey, Jamaica's first National Hero. Blenheim - is the birthplace of Sir Alexander Bustamante, the first Jamaican to be awarded the honour of National Hero while alive. Cherry Garden Great House - In 1845, George William Gordon bought the Cherry Garden property which was originally a sugar estate. Regardless - is intimately associated with the Rt. 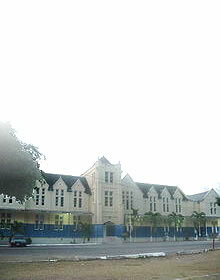 Excellent Norman Manley, in that, in 1962 it became his place of residence. Roxborough - is the birthplace of National Hero, the Right Excellent Norman Washington Manley. 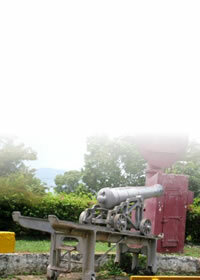 Stony Gut - is the birth place of Jamaica's National Hero, Paul Bogle.